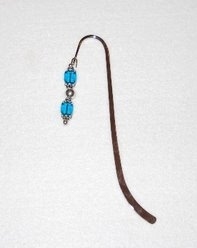 Our bookmarks are either silver or gold shepherd's hook style accented with genuine Swarovski crystal and other quality components. 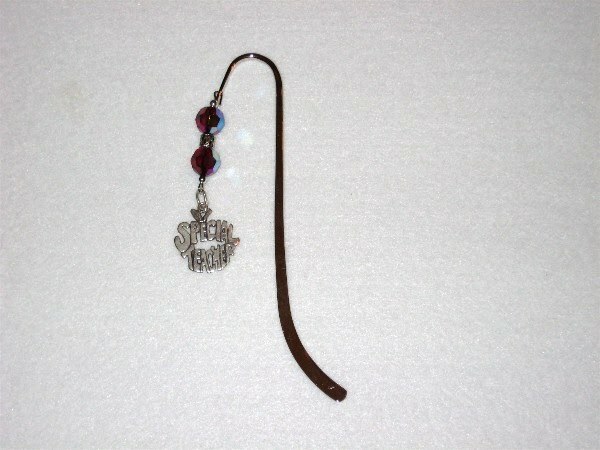 The possibilities are endless and we can create a custom bookmark to suit your needs. 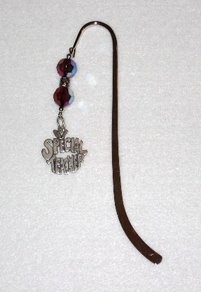 Send us an e-mail and let us create a unique gift for you! 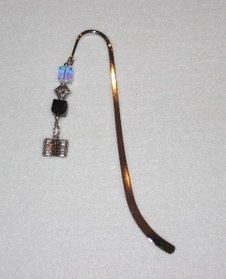 This is a silver bookmark featuring Swarovski crystal cubes with sterling silver accents. 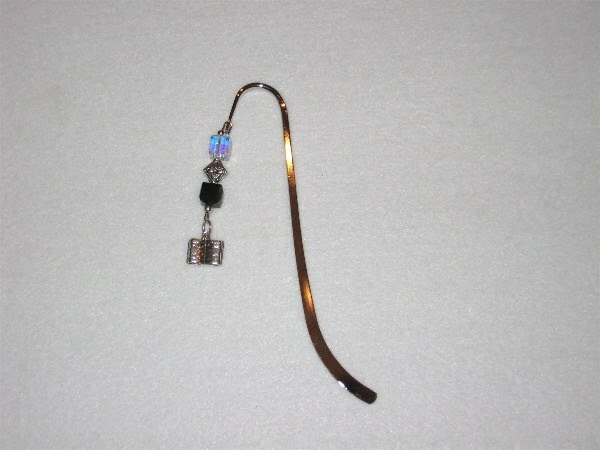 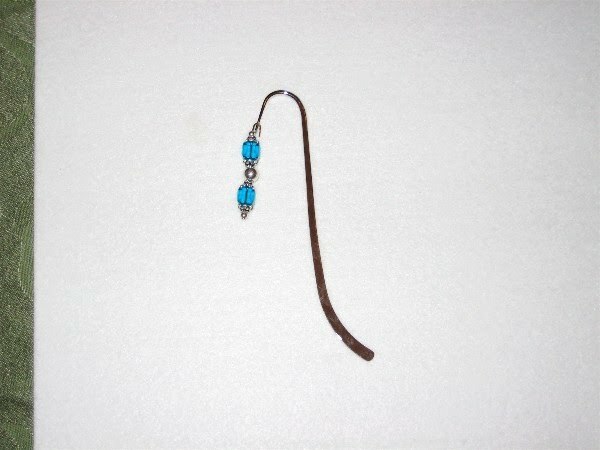 This is a silver bookmark featuring a black and clear crystal Swarovski crystal and a sterling silver open book charm. 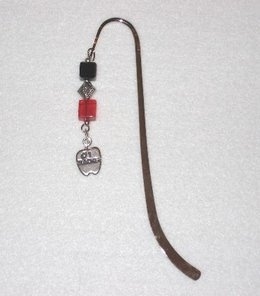 This is a silver bookmark featuring a black and a red Swarovski crystal cube and a sterling silver apple charm engraved with #1 Teacher. 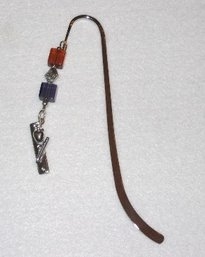 This is a silver bookmark featuring a topaz and purple Swarovski crystal cube and a sterling silver teacher's ruler charm. 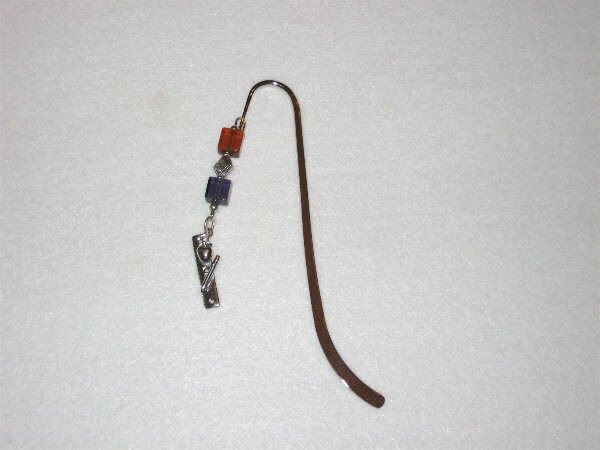 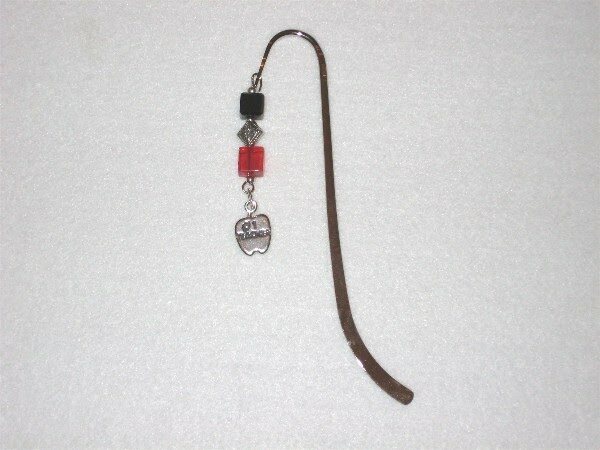 This is a silver bookmark featuring iridescent red Swarovski crystal rounds and a sterling silver teacher charm. 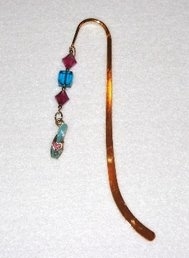 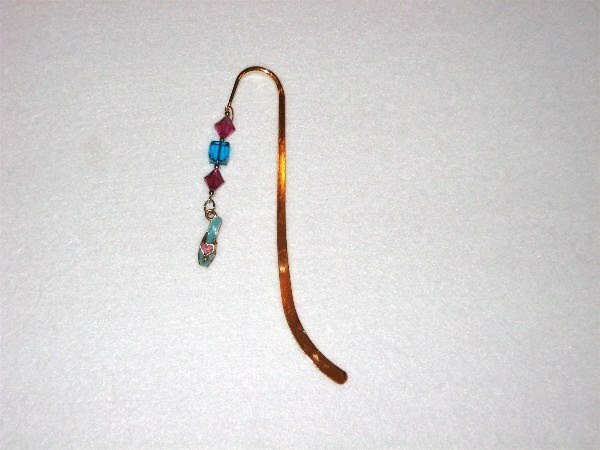 This is a gold bookmark featuring fuschia Swarovski bicones, a Swarovski blue zircon crystal cube and a gold plated shoe charm.